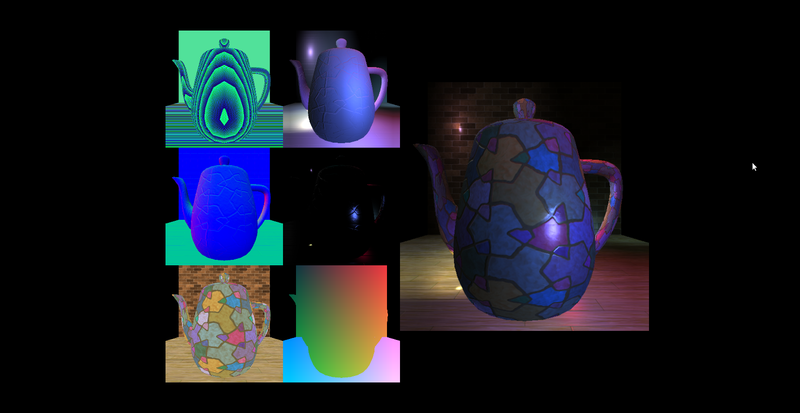 This is my first attempt trying to use the Deferred Shading approach to produce a realtime image containing several lights. This current implementation still contains some calculation errors. Once these errors are fixed I will attach both a video and source code. The application is created using Qt for the framework, OpenGL for the graphics, and C++ for the programming language.